The perfect protection on the go with or without you: our bags. 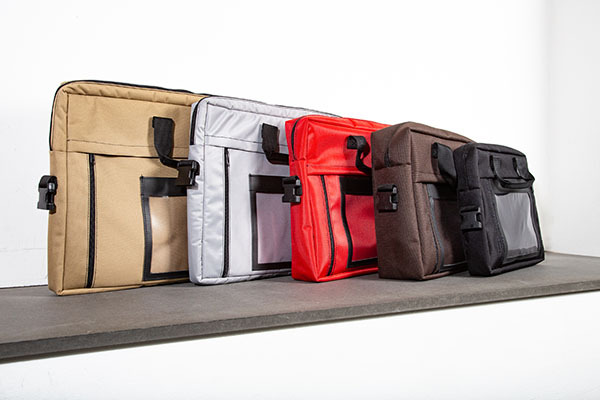 Our bags made of water-repellent, sturdy nylon are the perfect protection for your portfolio. All our bags are padded, have a carrying handle and a removable shoulder strap. They include a leather label with window on the front which can also be embossed with your name. We also offer tailor-made flightcases in cooperation with Supercases.